This past decade has seen dramatic changes in transportation. From the emergence of electric vehicles in the consumer market, to the disruptive effects of Uber and Lyft on the taxi and livery industries, to the awesome (yet slightly scary) rise of autonomous vehicles. Now, the way people travel seems to be taking another major but unexpected turn: electric scooters. If you live in Los Angeles or San Francisco, there is little chance you haven’t seen e-scooters yet—they seem to be everywhere! This is thanks to two rapidly growing startups: Bird and Lime. Each has released thousands of e-scooters in major U.S. cities to fuel their respective “scooter-sharing system.” These companies, and likely more to follow (even Lyft has its own brand now), are riding a wave powered by large investments to fund these sidewalk-takeovers. Not only are these scooters fun to ride, but they are also seen by many as a convenient method of alternative transportation due to their widespread availability and low cost. The scooters get unlocked via an app on your phone and let you ride them around for a small fee of around 15 cents a minute. They are tracked by GPS technology so that independent contractors (also known as “chargers”) can find them at night and recharge their batteries (Bird refers to designated drop-off sites as “Nests”). E-scooters have been around long before the recent popularity caused by Bird and Lime. Segway, for example, launched in 2002 and introduced one of the first electric scooters that was popular to consumers. But, due to the high cost of a Segway at the time, the Segway e-scooter was more of a luxury item than a convenient alternative method of transportation. Since 2002, technological advancements in batteries, motors and telecommunications (for GPS tracking) have made e-scooters more affordable. This, coupled with high investor interest with transportation startups in recent years, has attributed to the recent boom. Even big players like Uber and Google’s parent company, Alphabet Inc., are trying to cash in on the growing scooter ride-sharing industry. However, with the growing trend came increased risks. Many people report tripping on e-scooters that are left littered across sidewalks in non-upright positions. Other people claim that they have been struck by speeding riders. As a result, cities like Santa Monica have threatened to regulate e-scooter companies before the situation could get out of control. 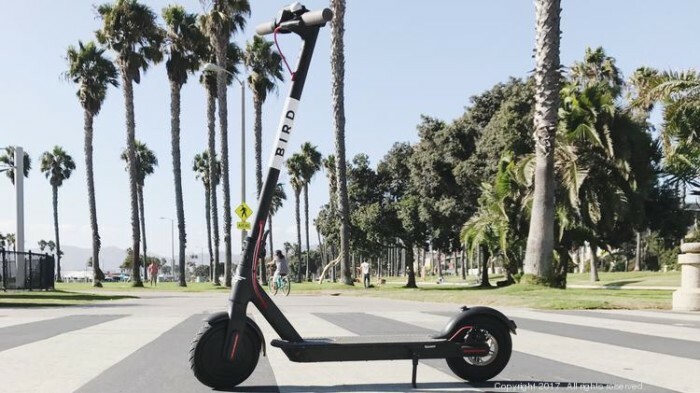 Santa Monica, which lodged a criminal complaint against Bird three months after its September 2017 launch, forced e-scooter companies to provide user educational programs so that people would use the scooters more safely. And in response to growing concern and municipal oversight Bird tried easing tensions by giving away free helmets and providing outreach to local schools to help prevent underage riding. Despite these efforts, however, injuries related to e-scooters seem to be on the rise; the Santa Monica Fire Department responded to 34 serious accidents during the summer of 2018 alone. While these sorts of figures are usually fuel for lawsuits, surprisingly, litigation has been sparse until very recently. In California, there were only a few lawsuits against these companies as of early October 2018. Then, from October through the end of the year, a handful of lawsuits were filed on behalf of plaintiffs asserting various claims against Bird and Lime, as well Segway and a manufacturer named Xiaomi. However, legal experts say that the claims—which were filed individually as well as class actions—are unlikely to succeed. For the class action suits, experts agree that naming the rider class and the pedestrian class as joint plaintiffs is untenable since the two have a conflict of interest. Additionally, experts point out that bringing a claim in California will be difficult due to the general approval of e-scooter companies and their positive effects on traffic and greenhouse gas emissions. Success in the courtroom is not the only hurdle for people who got hurt in these accidents—a much larger problem is finding attorneys who are willing to take on their claims. Injured riders, on one hand, are having trouble getting attorneys to represent them because of waivers that they signed prior to riding the e-scooters, which effectively limits liability for the companies and forces arbitration of any suit against them. Moreover, companies like Bird and Lime have strong assumption of risk defenses to protect them against lawsuits by injured e-scooter riders. Injured pedestrians, on the other hand, are also having a hard time finding legal representation because most injuries are caused by riders mishandling the e-scooters. This gives rise to claims against the riders but not necessarily the companies supplying the e-scooters. By way of example using a more traditional fact pattern, if a pedestrian gets struck by a car that happens to be a rental car, then the pedestrian does not have a claim against the car rental company unless the company was acting negligent by, say, supplying defective cars. As a result, it is clear that Bird and Lime should be forced into creating higher safety standards through other means. For example, it seems more likely that legislative action and regulatory pressures, such as those that were almost imposed by Santa Monica, will have a stronger effect on shaping the behavior of the largely untamed e-scooter companies. One possible regulation is to force e-scooter companies to provide quick safety tutorials before users start their first ride. Or, another option is to require e-scooter companies to implement technology in e-scooters that notify and possibly fine riders when the e-scooters are not left upright once parked. Whatever the solution may be, these changes must be made fast so that people can start enjoying this new technology in a safe and responsible manner. U.S. Law Group‘s Corporate & Business practice group serves as corporate counsel to numerous tech startups and regularly advices such clients on industry-specific regulatory issues. To learn more about our Corporate & Business practice group, please visit our site.